I'm a big fan of Mad Hungry (the cookbook AND the cooking show). Lucinda Scala Quinn's recipes have all been super delicious and easy to follow. This Spaghetti Bolognese of hers is DELICIOUS! Our whole family heartily recommends this! 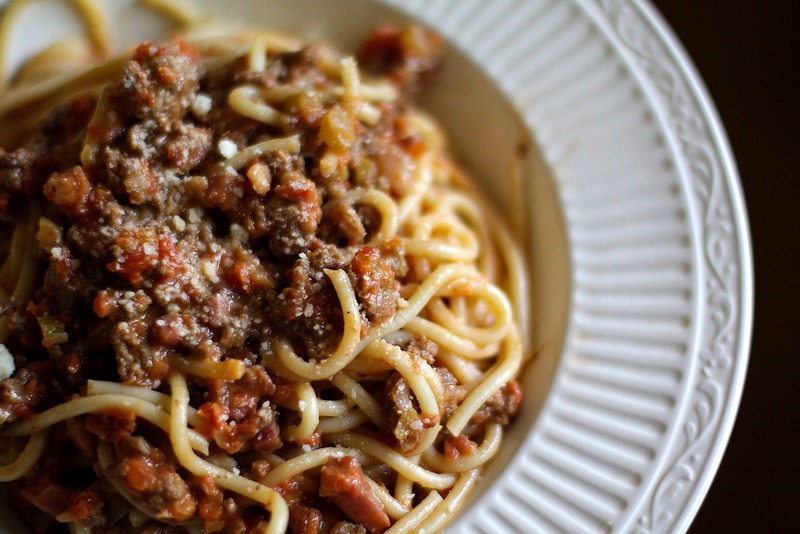 I thing your spaghetti bolognese looks very tasty, and that's a terrific photo, but I also think that it's about time you updated your blog. It's been five weeks, after all, and those of us who like to keep tabs on your life are thinking surely something else has transpired in your home during that time! Mmmmm...good stuff. I cannot wait to have this again!